Spring Break 2019 – the time you’ve been waiting for since Christmas is on its way at last! All those furtive mind trips you made while drowning in coursework – it’s time to make them come true. In a matter of days, the best deals will dry up and the airfares will go through the roof. There’s no more time to lose. First things first: where will you go? Unfortunately, for some folks (including us), it takes forever to reach a consensus. Then, on the eve of spring break, in a moment of panic, the decision is made, which sometimes turns out to be a disastrous leap of faith. If you are tired of the done-to-death destinations and want to have a crack at something new for Spring Break 2019, then look up Costa Rica. This little Central American paradise is where many spring breakers who seek a difference are making a beeline for. But since you are short of time, let us do it for you. 1. It’s as green as can be. The first thing that strikes you on your Costa Rica Spring Break is the lush greenery – a sight for sore eyes, especially if you’re landing from a city with a fast-shrinking tree cover, say, Chicago, Dallas, or Detroit. The country, only the size of West Virginia, takes up less than 1% of the planet. Yet, it is home to 5% of the earth’s total stock of biodiversity – which is a lot, as you’ll soon discover once you set foot in this country. A large part of this Latin American enclave consists of protected land divided into biological reserves, wildlife refuges, and national parks, all of which are central to its conservation efforts. The Monteverde Cloud Forest Reserve, Carara National Park, and Corcovado National Park (named by National Geographic as the most biologically intense place on earth) are some examples. Trills of birds fill the air in these places and the forest floor teems with charming wildlife. Another distinct natural feature is the volcano. Volcanos big and small, many dormant and some active, dot the length and breadth of the country. Arenal Volcano, the most imposing of them all, Irazu Volcano, partially shrouded in clouds, and their surrounding craters are geological wonders hikers love to visit for an out-of-the-world experience. 2. You get the ultimate beach vacation. If your friends aren’t already green with envy at your Insta pictures with Costa Rica’s misty cloud forests or the Capuchins in the backdrop, they will go practically wild at your beach shots. With numerous gorgeous beaches and all the quintessential elements of a perfect beach vacation thrown into the pictures (read surfing, paddleboarding, snorkeling, or just tanning yourself under the tropical sun), you can’t help hogging all the attention on social media. Costa Rica is a surfer’s paradise where both experts and novices turn up to flaunt and practise their moves. And in case you are wet behind the ears in surfing, don’t just sit and fret on the beach. There are trainers at hand who can give you quick lessons and get you started in a jiffy. Once you do, you’ll keep going back for more. The best thing we love about the beaches in Costa Rica is that they are not all crammed with people as they are in Miami or Panama City closer home. You won’t be tripping over people or their surfboards because there is always some other beach you can get away to, based on the levels of human presence you can put up with. There are numerous hidden beaches too, which you can explore at your leisure with your posse of friends. You might want to soak up all the sun and get a glowing tan. By all means, do – but don’t forget put on some sunscreen first. You’d need it not just on the beach but also when you go hiking in the forests. 3. It’s more like the US but better than the US. It takes roughly four hours by flight to get to Costa Rica from the US. The weather will be a bracing 25C when you land. Although temperatures can vary throughout the country depending on the altitude (the various microclimates here make it seem like there are different countries in one), a beaming sun, and the soothing greenery will be a welcome break from the long and biting winter you had back home. Apart from the obvious contrast you find in the low rises, rolling mountains, and swirling greenery, Costa Rica will feel like a lot like home because of the sheer number of Americans living or gallivanting here. You will bump into fellow gringos (the native name for Americans) a lot in your itinerary, so it practically feels like a home away from home. A lot of business establishments, including bars, restaurants, and rentals are run by Americans. You will find sports bars where American football matches are watched and cheered as avidly as back home. However, this doesn’t mean you can’t experience the local culture or enjoy the delightful company of Ticos on your Costa Rica spring break. . Far from it. There are numerous occasions where you get to meet them and interact with them. Just remember to greet them with a Pura Vida rather than a hello because in Costa Rica it is a tradition to wish everyone a good life. 4. The vacation rentals are drop-dead gorgeous (and affordable). 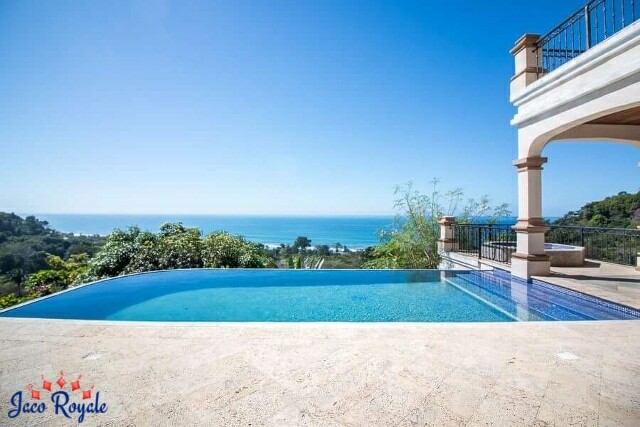 The condominiums and villas in Costa Rica will blow your mind with their sheer variety. Take Royale Onyx which starts at $350 dollar per night. It comes with indoor waterfalls and a central pool with overhanging palm trees – a tropical paradise only five minutes away from Jaco beach. Or consider Royale Green if you want to scrimp a little bit on the rental budget, but not on the ocean views. You will be spoilt for choice if you start looking for properties with a specific checklist in mind. 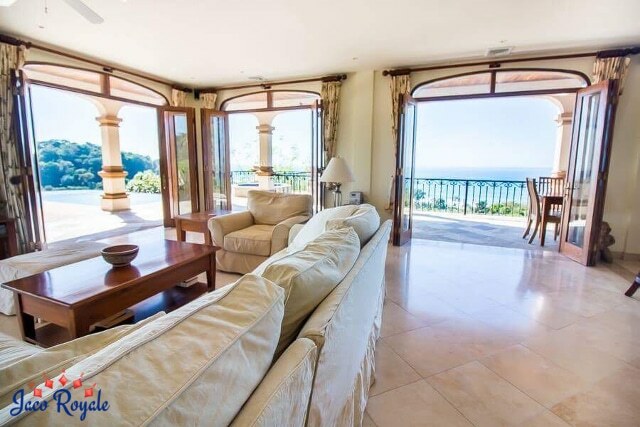 Ocean, mountain, forest views from your bedrooms? Check. Outdoor party area, infinity pool, and swim-up bar? Check. Jacuzzi, gyms? Check. WiFi, high-speed Internet, TV, A/C? Check. You get the drift. We have a fairly exhaustive list here. These vacation rentals are built to host groups of all sizes, big and small. There are master suites and bedrooms with king-size and queen-size/twin/bunk beds respectively, with private or shared baths. So when you come as a group for your spring break, you don’t have to get squashed like sardines in a single room or split up across properties for lack of space. 5. It’s the ultimate place to party. Agreed, you are not a tree hugger on a mission to save the planet nor are you, as an undergrad, seeking nirvana on your Costa Rica spring break. You just wanna have fun like the rest of your dudes. Well, you’ve still come to the right place, because COSTA RICA IS PARTY CENTRAL. 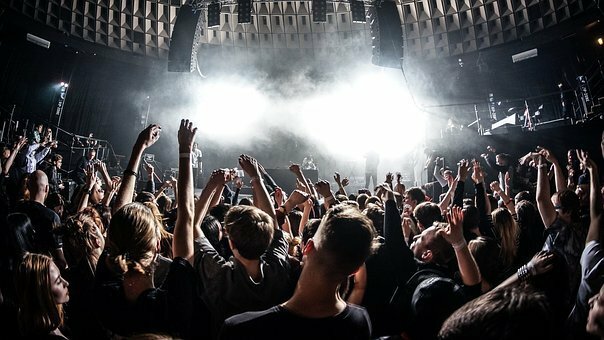 It’s a famous bachelor party destination, but since you are not bachelor party material yet, let’s focus on the general party scene here. NOTE TO READERS WHO ARE HIGH SCHOOL STUDENTS: Please don’t feel lost. Just skip to item 6 in this list and you’ll be back in normal territory. In Jaco, the beach town frequented by gringos, the bars stay open into the wee hours of the morning. A few bars have DJs rocking the night. There is plenty of flavorsome food and drinks to keep you going till you call it a night. Whether you are binge-drinking (we hope you are not – there’s a precious lot to do in Costa Rica than sticking your head under a tap or nursing a hangover the next day) or just exploring the native flavors, try the local brew – the Guaro. Made from sugarcane, it comes at a price tad lower than your regular stuff but tastes just as good. If you want to get heady on music and dance, there’s Green Room, which offers live music every night. Also famous for its artisanal beer, it draws people all times of the day. 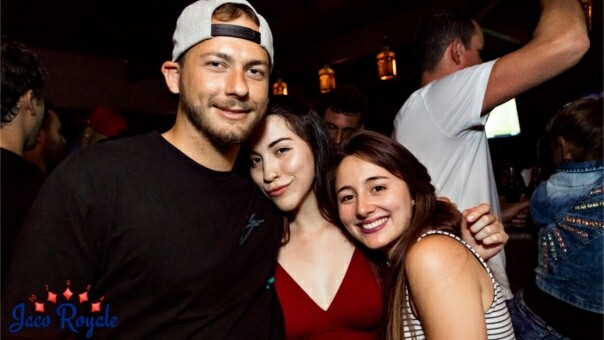 There’s Swell Bar, frequented mostly by surfers, where other than drinking craft beer and jiving to music, you can make friends with local people, and play pool or football. These are just some of the many options to live up your dream spring break. 6. You will have scads of fun and adventure. Explore Costa Rica on foot, in a boat, on ATV, or even a zip line! To feel the true pulse of this former Spanish colony and nature’s favorite, just one of these may not do. For instance, to appreciate the Monteverde Cloud Forests, you need to literally get on top of it and ziplining is the way to do it. 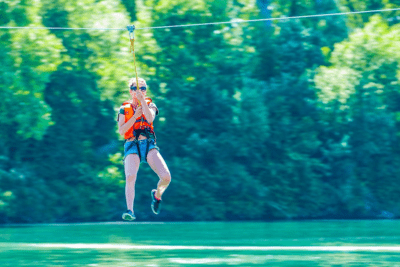 Like modern-day Tarzan, you will swing from tree to tree, safely harnessed to a zipline. You will get a bird’s eye view of everything, including the birds flying below you. 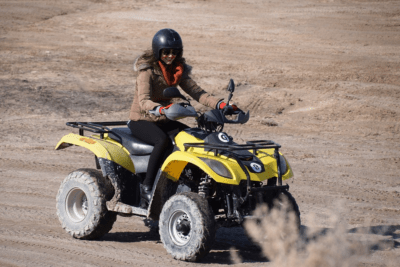 If a pulsating ATV ride epitomizes adventure to you, then you can take a stab at that too. Breaking off from the beaten path, you will be riding right into the heart of the Costa Rican countryside. If you enjoy water sports, there’s white-water rafting (besides surfing, which we covered earlier in this post). You can go drifting on gentle waters or get into a nerve-racking battle with Class V rapids. Want one-of-the-kind Costa Rica spring break party? Hire a party boat and head off to the ocean. You can have half-day to full-day parties with DJ music and all the high-jinks of a spring break party on these top-notch boats. Another adventure you’d hate to miss is the trip to Tortuga Island, home to Jack Sparrows of yore. Whether you are a high school student, undergrad, grad, or a teacher to any one of these categories of students, you can partake of the same fun and leave rejuvenated for the rest of the term. Costa Rica is not necessarily about the high-adrenaline adventure, it can be a soothing retreat for some. You can even win a free trip to Costa Rica if you shoot off a message to us before March 31, 2018. Whether or not lady luck is on your side, you can still enjoy a discounted fare on flights thanks to our partnership with United Airlines. We also have a 5-day Spring Break Package for High School Students, with full-service coverage including transfers, tours, and food. Call us on our US Toll Free Number for details. If you’re still making up your mind, check out our Spring Break Video on YouTube.